Judit has been active for almost two decades in the executive search field. Prior to joining Stanton Chase, Judit worked for Egon Zehnder International and then later joined the executive search spin-off of the leading management consultant group A.T. Kearney. Then she moved to Signium International/Ward Howell. Judit has conducted numerous executive search assignments on upper & senior management level. She advises clients in recruiting senior executives for German and international clients covering all functional disciplines, e.g. General Management (CEO/GM/MD), Manufacturing / Production / Operations, Sales / Marketing, Supply Chain Management, CFO / Finance / Controlling, Human Resources. Judit currently focuses primarily on Industry 4.0, The Internet of Things, Smart Factory, Digital Transformation, Human-Robot Collaboration, Digital Transformation, Digital Leadership, Disruptive Technologies, and Innovation Leadership. 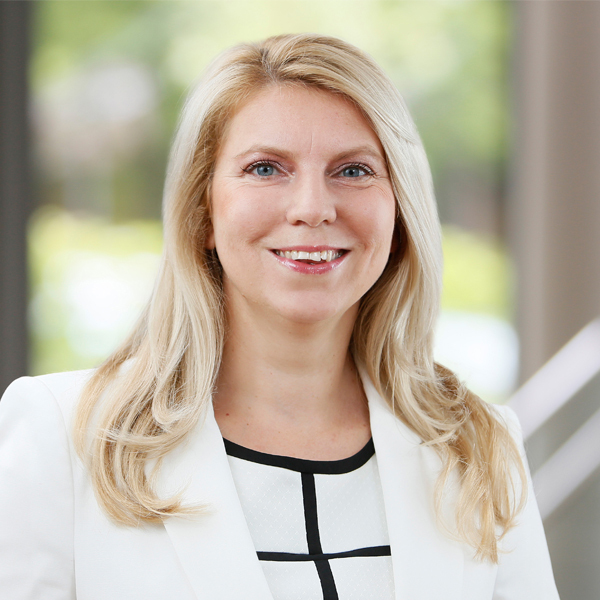 She is an expert member of the following Stanton Chase Global Practice Groups: Industrial PG, Natural Resources & Energy, Logistics & Transportation, Global CFO Practice, Global HR Practice. Judit has a diverse international background, having lived and worked in Germany, Hungary, Ireland and the U.S.A. Due to her intercultural competence, Judit is a trusted advisor for internationally operating organizations, regardless of their size. Based on her out-of-the-box thinking and people oriented search strategies she is the perfect choice as well if you have difficulties to find cross functional managers reporting directly to the executive board. Furthermore, Judit has conducted a high number of searches for financial executives, human resources executives and highly skilled specialists in upper management positions. She is a Certified Human Resources Professional, obtained a Masters Degree in European Studies (M.E.S.) and a MA in Translating / Interpreting. She holds a Master’s Degree in German Linguistics and Literature, complemented with a Bachelor of Science Degree in Education that included profound studies of Psychology. Judit is married and her little son together with group fitness keeps her fit for business and family.